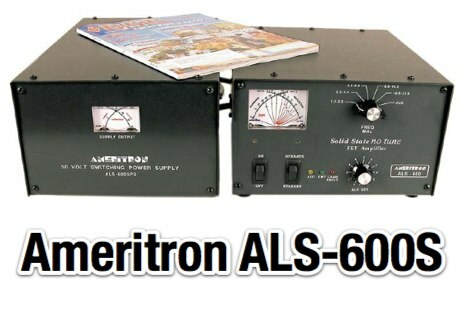 Ameritrons revolutionary ALS-600 is amateur radios ONLY linear amplifier that uses four rugged TMOS RF power FETs – gives unequaled no tune solid state performance. 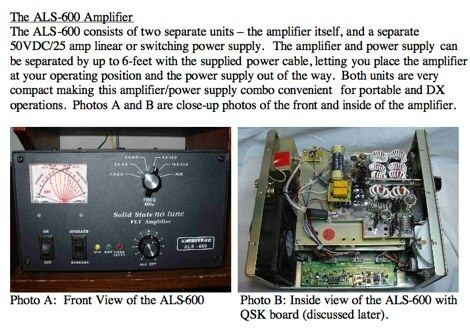 Includes Ameritrons no tune FET Amplifier and a 120/220 VAC, 50/60 Hz AC power supply for home operation. 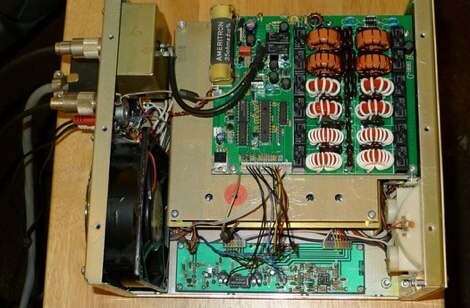 Over Power Protection – if output forward power or reflected power exceeds safe level, output power is automatically reduced to prevent amplifier damage by controlling ALC to exciter. Operate/Standby Switch – lets you run “barefoot”, but you can instantly switch to full power if you need it.Front Panel ALC Control – exclusive Ameritron feature – convenient front panel control lets you adjust your output power.Transmit, ALC SWR LED indicators – keeps you informed. 12 VDC output jack – lets you power low current accessories. 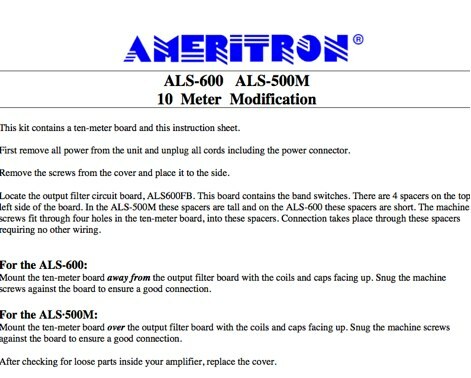 Separate ALS-600PS power supply (included) can be placed conveniently out of the way and plugged into your nearest 120 VAC outlet – no special wiring needed. Made in USA.